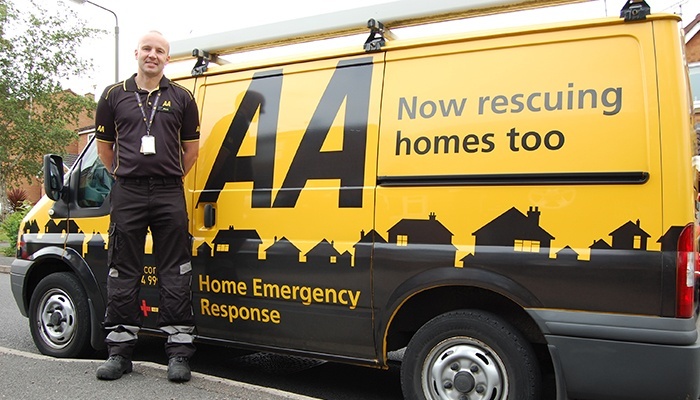 Whilst The Automobile Association (The AA) might be a trusted brand that is better known for Roadside Assistance, the renewed growth of the Home Services business is now benefiting from end-to-end field service management software supplied by Solarvista, which includes a full integration with PartsArena Pro. This gives The AA engineers mobile knowledge management technology like never before. Reviewing performance since its initial launch in September 2016, the statistics confirm just how positive this move has been. PartsArena Pro was uniquely developed to drive efficiencies in the UK heating service industry, using Infomill’s AnswersAnywhere platform. This innovative platform can create a knowledge management tool for any industry worldwide that suffers from an unproductive “knowledge gap” between manufacturer and parts information, and the field service engineer out on site. As an integral part of the Solarvista field service system, PartsArena Pro is now supplying this critical knowledge to The AA’s Home Service heating engineers, via offline Windows mobile devices. They can access the latest data and information such as exploded diagrams, parts codes and manufacturer technical manuals whilst out in the field. This facilitates a speedy and accurate parts search coupled with the ability to add parts lists directly into the job for automated ordering, reducing engineer and back office effort and markedly improving ‘Second Time Fix’ rate. “In the age of self-service and automation, delivering fully integrated systems to the benefit of our members, employees and business alike was a critical requirement within our transformation project. The integration between Solarvista and PartsArena Pro that we have developed supports our engineers in resolving our members’ home emergencies as effectively and quickly as possible; and more of them per day, whilst also delivering a world class experience to our members. The project has delivered significant improvements to both ‘First and Second Time Fix’ rates, significant improvement to our engineers’ productivity, whilst also enabling our engineers to very quickly and accurately order parts and book their own return visits face-to-face with members via their mobile devices. Additionally, their own core van stock of parts auto-replenishes without anyone having to place orders,” says Ash Cripps, Home Services Business Systems Manager, The AA plc. Paul Allen is a heating and plumbing engineer for The AA. Shortlisted for the business’s upcoming Engineer of the Year award, he has this to say about PartsArena Pro: “Using PartsArena Pro has become part of my routine when servicing or repairing appliances to either get part numbers, fault finding charts or specific servicing routines that certain manufacturers ask for. The installation manuals and detailed diagrams make doing the job so much easier, which reduces the time spent on each job, helping you to get more visits completed in your working day. The time and money saved by not having to phone manufacturers or merchants for parts numbers or technical information is just one of the benefits of this software. The installation manuals and detailed diagrams make doing the job so much easier, which reduces the time spent on each job, helping you to get more visits completed in your working day. PartsArena Pro is a very successful example of how knowledge management technology can make a significant contribution to the productivity and efficiency of a business, reducing operating costs, increasing profitability and enhancing customer service. The trend for field service software companies to integrate this type of innovative software into their systems is enriching the service available to many organisations operating in the heating service industry, whilst giving field service software operators a distinctive competitive advantage. Meanwhile, Infomill is talking to businesses in other industries about how the AnswersAnywhere platform can present a ‘game-changer’ to productivity, as Jonathan Ralphs, Infomill CEO explains: “We’re delighted that PartsArena Pro is part of the performance success of The AA’s Home Services business, delivering enhanced customer service to homes across the UK. The project very clearly demonstrates the potential of PartsArena Pro and indeed our AnswersAnywhere platform, from which it is built. Infomill can create an innovative knowledge management tool for any industry worldwide that suffers from an unproductive “knowledge gap” between manufacturer and parts information, and the field service engineer out on site. SyncronTM, a leading provider of cloud-based after-sales service solutions focused on empowering the world’s leading manufacturers to maximise product uptime and deliver exceptional customer experiences, have recently announced the launch of the After-sales Excellence Forum, a complimentary, half-day event aimed at helping manufacturers unlock hidden revenue opportunities and achieve new levels of customer satisfaction through optimised after-sales service. It’s no secret the world is changing, and it’s changing fast. Multiple demographic, economic and social trends are pushing manufacturers to transform their after-sales service organisations, and shift from a reactive, break-fix model to maximising product uptime. This event aims to help companies embrace this change to achieve new levels of financial performance, customer loyalty and competitive differentiation. The complimentary event will be held at The Icetank in London on 12 Oct. Representatives from Syncron, Servispart Consulting and IAAF will lead the day’s discussions. To learn more about the event and register, click here. KO: There finally seems to have been a quite perceptible shift in the number of companies beginning to pay attention to the importance of good parts and inventory management. Are you feeling this? For example every-time I come across your team at various different events I see you having a lots and lots of conversations at busy, busy booths. Are you finding that whereas, perhaps a few years ago you were having to evangelise the importance of tools like yours, today people are actively looking for them? GB: You’re absolutely right. There are so many things going on socially, politically, demographically, economically that are really putting pressure on the field service organisation to not only deliver maximum uptime - we are really moving away from the traditional break/fix aftermarket model, towards moving towards being much more proactive and preventative, and technologies are enabling us to do that. Manufacturers around the world are waking up to the fact that the market has changes - from the volatility in the orders of durable goods, to millennials taking over the workforce, to the movement to ‘power by the hour’, so a lot of them are looking for low hanging fruit. They’re asking “what can I do to my service organisation to increase revenue” because a lot of companies now view the product that they sell as something that can they can put in the field to leverage high margin service revenue for an extended period of time - in heavy equipment we’re talking 25 years. So they are looking at this, they’re saying how can I improve revenue? How can I improve margin? How can I have a more predictable service business and then how can I deliver a wow level of service - or prevent that service call from having to actually take place over time because of the use IOT, machine learning and smart parts. Our friends at The Service Council established that 50% of service attempts fail because of not having the right part, and even if the right part is available then companies are not maximising the revenue correctly because they are not pricing correctly. So, for a lot of organisations they are saying lets get the parts side of the business right - because the financial gain that can be harvested is significant. When you look at the inventory side, we see companies increase service parts revenue by up to fifteen percent, increase gross profit margins up by as much as forty percent and taking forty percent of inventory whilst taking their fill rate up above ninety percent. So, mathematically, the financial value creation really works and then if those parts are priced appropriately- we are seeing companies take up their service parts revenue by as much as five percent and gross profit margins by as much as seven percent. If you have several hundreds of millions of dollars, or even close to a billion dollars if you’re in a sector like Aerospace, five percent here and seven percent there suddenly becomes a very sizeable figure. So in Answer to your initial question, yes we are now seeing a much bigger customer pull, and I think whilst it may be partly due to the Syncron being much more visible in the sector, but it is also a matter of demand from the market - increasingly companies are now coming to us. KO: You mention outcome based services as a significant shift that is happening within field service across multiple regions and verticals. What impact is that having on the spare parts/aftermarket and consumables markets - is there a direct adverse impact on this? GB: Yes, I would think that it is very much having an adverse impact on this side of the market. Manufacturers will increasingly sell service level agreements much like you would see in high tech. In high tech there is not a lot of sales of parts. If your servicing a piece of high tech equipment whether it be in medical or whether it be in the IT space, you have a service level agreement and you have certain requirements whereby it needs to be back on line within an hour or two - so there is no buying of parts. I think as more industries begin to adopt the service level agreement approach rather than buying a part it will have an impact on parts revenue as having that part available to perform that repair or maintenance in advance of the asset failing becomes even more critical. In my car for example, I have an app that tells me when there is something going wrong with my car. Today, it doesn’t tell me when a part is about to fail but in the future I imagine that it will and so when I do have to bring the car in for service it will say well this part, this part and this part are all close to failing so why don’t we replace these all now? It becomes preventative maintenance, we prevent the failure from ever happening. This is changing the way businesses approach the value of parts and indeed service. 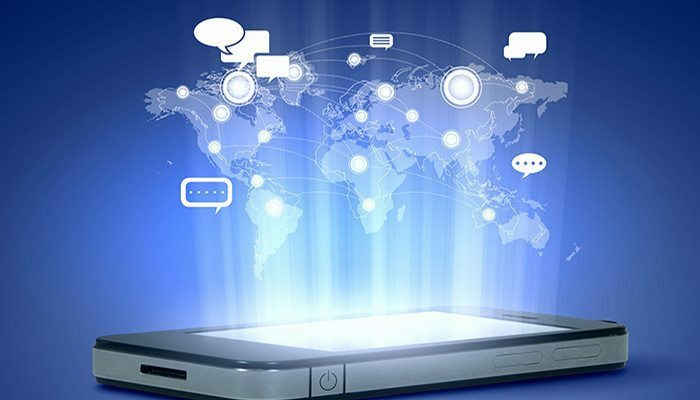 It is certainly an exciting time to be in the field service business because of all these economic, social and political changes that are driving the attention on the service business but also the emergence of all these new technologies. KO: Given this new wave of interest in Field Service as a something more than mission critical, but also fundamental to revenue streams - are you seeing more companies you work with getting involved with such conversations from board level? GB: Yes, I absolutely think field service is really garnering executive level attention now. I think a lot of that is driven by the demand and the shift that we are seeing amongst the customers. Customer-centricity has always been a bit of a buzz word in the industry but I think it is becoming hot again and I think that’s because by 2030 around 75% of the workforce will be comprised of Millennials. Their service expectations have been informed by the likes of Amazon, Uber and TaskRabbit. Their mindset is “What do you mean I can’t have it fixed now?” And that is definitely driving the demand side. [quote]Service expectations have been informed by the likes of Amazon, Uber and TaskRabbit. Their mindset is “What do you mean I can’t have it fixed now?” And that is definitely driving the demand side. But then also when you look at the margin side and at the revenue side, I think a lot of executives that are in the C-Suite came up from the manufacturing or sales side - so they sometimes have a biased view of their business. I call this the street light effect - they can only see what is in the light and that for them is looking at the product side of the business. But for many of them, they’re starting to look beyond the street light and are saying wow - this service business is pretty darn exciting. But now companies are seeing with declining lures on the product base side of a business. They’re faced with dwindling margins and if they put even more effort on this side of the business they can only get a limited return. I think companies are starting to see that similar investment in time and resources on the service side now is going to deliver a lot better returns. 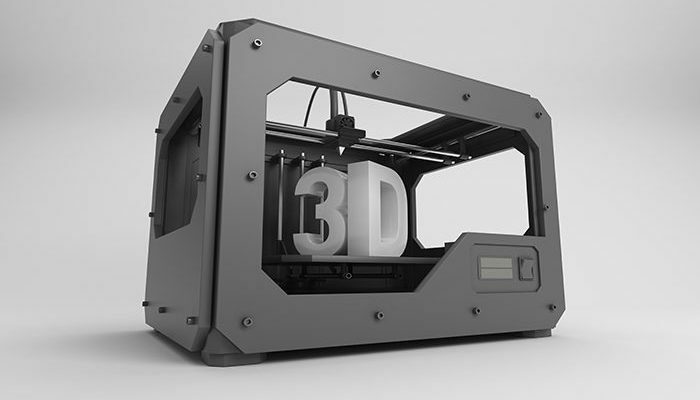 Can 3D printing solve the pain points of spare parts logistics? KO: 3D printing has for a while been positioned as a major disruptive technology within supply chain management, but can it really be a magic bullet to help field service companies meet the challenge of getting parts to their engineers in a more timely fashion? TH: At UPS we see two potential areas for using additive manufacturing in field service operations and spare part supply. Firstly, 3D printing has the potential to be used for a more tailored part supply based on customer needs at any given moment in time. In particular for older machines where spare parts are not on high demand and the moulders that were used for mass production are not available anymore. In situations such as this, spare parts can be created through additive manufacturing at a relatively low cost and supplied to the engineer in a short amount of time. A broader use of 3D printing technology can be imagined in situations where the manufacturer is making adjustments to a certain part based on data collected from the field. A broader use of 3D printing technology can be imagined in situations where the manufacturer is making adjustments to a certain part based on data collected from the field. Here, additive manufacturing can help to redesign a certain part and allow to manufacturer to quickly distribute the improved material. Furthermore, if manufacturers only stock high demand items and switch to 3D printing technology for low demand items, they can significantly reduce their overall inventory levels and operating costs. KO: What are the challenges and benefits for a field service organisation to adopt 3D printed parts as part of their spare part management strategy? TH: The key benefit is that field service organisations can tailor spare parts according to the needs of their customers and thereby improve customer satisfaction and loyalty levels. The key challenge for field service organisations will be to make the financial investment and accumulate the knowledge and the expertise to switch from traditional manufacturing to 3D printing. UPS has integrated 3D printing facilities into its global network and built up expertise in additive manufacturing, so our customers do not have to. KO: There are numerous examples of high quality 3D printed parts being used in industrial products, but realistically with today’s technology and infrastructure are 3D printed parts a valid solution in terms of spare parts management for field service companies? TH: Despite 3D printing’s current shortcomings in some field service situations (parts made from several components, large or complex parts that take a long time to print,..), UPS offers field service providers value because we combine an on-demand 3D printing manufacturing network at central air hub locations with a global logistics network. Together, they form an on-demand economy business, allowing for asset-light operations if you are a field service company. KO: Do you think 3D printing solutions will become a standard tool offered by major logistics providers (such as FedEx, UPS, K&N etc) or do you think it will remain a specialist sector? TH: 3D printing is going mainstream. And as it does, the technology is likely to revolutionise traditional manufacturing and redefine our notion of supply chain logistics. 3D printing is going mainstream. And as it does, the technology is likely to revolutionise traditional manufacturing and redefine our notion of supply chain logistics. 3D printing is available at more than 100 The UPS Store locations in the U.S., and the pilot program is so successful among small and medium-sized businesses looking to leverage the technology, that we expanded our 3D services across the U.S.
We partnered with a 3D printing company to build a 3D printing facility at our global Louisville hub and in 2016 began offering this service in Asia too, with scope for further expansion. Kris Oldland, Editor-in-Chief Field Service News asks isn’t it about time we learnt to manage spare parts as well as we can manage the mobile workforce? When looking through the list of topics discussed in most field service conferences it seems that there is one area that is often heavily overlooked - which is namely the topic of parts distribution. So often we talk about the importance of getting the right engineer, with the right skills to the right job and getting them there on time. Of course it’s all a moot point if they don’t have the right parts needed to complete the job. Yet head to any industry event, or look through the pages of any industry journal (including even our own humble offering) and you will find far more content that is weighted towards managing the dispatch of engineers than you will see focussed on the dispatching the parts that they need to do their job. In our defence it’s an easy trap to fall into - there are just so many more voices shouting about mobile workforce management than there are shouting about parts management and service logistics. Companies such as FedEx, Keuhne Nagel and UPS have all stepped up to the plate to try and help resolve some of the pain points felt by field service organisations in relation to their parts delivery. The challenge is that whilst the service that logistics providers can provide to field service organisations is absolutely crucial (and can offer very tangible performance benefits), in the wider scheme of things we must remember two key factors. 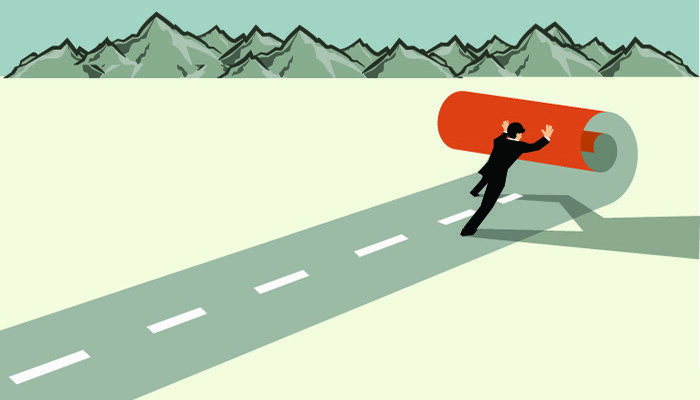 Firstly, the number of companies that can offer the ability to deliver across international borders and to the type of time scales that field service organisations require are very few and far between. Secondly, within such organisations, field service and parts management is really just a very small component of their wider operations, so perhaps gets a touch overlooked. Yet, slowly that is beginning to change. Companies such as FedEx, Keuhne Nagel and UPS have all stepped up to the plate to try and help resolve some of the pain points felt by field service organisations in relation to their parts delivery. Also we are beginning to see more and more senior logistics professionals become focussed on field service as a sector. One such individual is Tim Helsen, Netherlands Country Manager, UPS who was speaking recently at the Field Service Europe conference held in Amsterdam, and I was pleased to receive his invite to connect over a coffee at the event to gain his perspective of how companies such as UPS can help field service companies overcome the perennial challenge of cumbersome and ineffective parts management and logistics. “There are a couple of key trends as we see it,” Helsen commented when asked on why so many companies seemed to struggle getting spare parts into the hands of their engineers, or even in some cases just delivering parts to their customers. 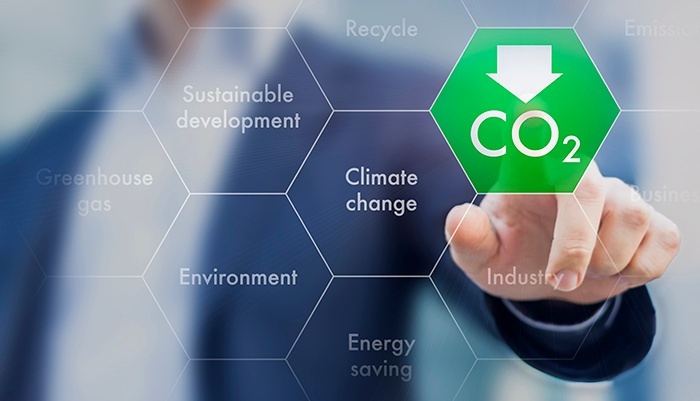 “In fact, 78% of companies stated that effective spare parts management and delivery was highly sought after by their customers but only 12% were treating this area as a priority, so there is clearly a disconnect,” he adds. Having spent time further investigating this disconnect Helsen believes that the causes are the pragmatic results of a number external pressures on field service organisations. He identifies the challenges of recruiting, training and maintaining field engineers, who are themselves working on ever more complicated devices, as a key reason why companies naturally tend to push their focus, and indeed their infrastructure towards what he describes as ‘simply getting their guys out on the road.’ As such, parts management is often the neglected cousin. However, this approach, whilst clearly being endemic to our industry is one of purest folly. In his presentation, given a little earlier in the day, Helsen went through a number of case studies highlighting how paying such little heed to the delivery of parts coukld have a dramatic knock on effect when it comes to the performance of field engineers. The UPS solution also allows the technicians to pick up from locations such as petrol stations and newsagents which expands the available working hours adding additional flexibility (which can be a big benefit to customers and engineers alike) plus UPS also provide a dedicated app which allows for parts tracking but also allows engineers to redirect packages in real time. Giving field technicians a means to also adapt the collection of any parts they need in reflection of such changes is a vital tool that should be welcomed with open arms by field service companies. One of the whole premises of modern day mobile workforce scheduling is that delays are always likely to happen so changes need to be made dynamically to re-optimise the day. By giving field technicians a means to also adapt the collection of any parts they need in reflection of such changes is a vital tool that should be welcomed with open arms by field service companies. In fact, it could even be argued that seeing as parts should really be more easily managed than people, it’s incredible that such solutions are only now beginning to become part of the fabric of field service management. For me, it seems that the biggest failing we have all undertaken - practitioners, vendors and media alike, is to treat parts management and service logistics as a separate entity to workforce management. 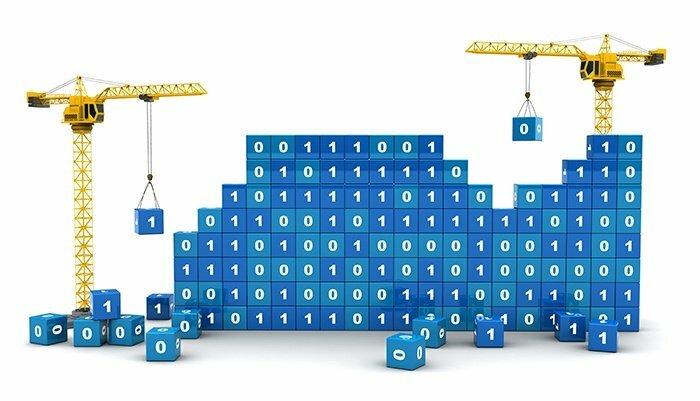 Admittedly there are software platforms that incorporate parts management alongside FSM tools, Astea comes to mind as one solution that offers such a solution, but even then how closely aligned is it to the actual delivery of parts? How many field service companies have fully integrated parts handling and delivery into their mobile workforce management systems? Yet the benefits of doing so are clearly vast. Indeed, as I talk to Helsen, I find myself nodding in agreement as not only does his argument very easily stack up, but it’s almost a word for word a repetition of the arguments put forward by the scheduling engine providers. Arguments which by now most in the field service industry are very well versed in to the point that they’re universally accepted as common sense. The technology is available, and essentially the argument has already been won by the workforce scheduling vendors - even many SMBs now utilise some form of workforce optimisation, because the R.O.I is clear to see. It seems the next easy win for field service companies looking to improve efficiency margins is quite simple - revisit your parts management and service logistics chain and put the same emphasis on getting the right parts to the right place at the right time as you do getting engineers - surely it’s about time we were able to get parts in the right place as well as we can people? Could drones solve emergency spare parts delivery? Logistics provider UPS recently showcased a working prototype of a drone solution that launches from the top of a delivery truck. The test which was conducted in collaboration with drone-maker Workhorse echoes a proposed means of using drones within a delivery mechanism suggested by Ralph Rio, A Research Director with the ARC group which Field Service News reported on back in December 2013 whereby drones are used to augmented existing delivery drivers capabilities whilst they are in the field rather than deliver packages straight from the depot. 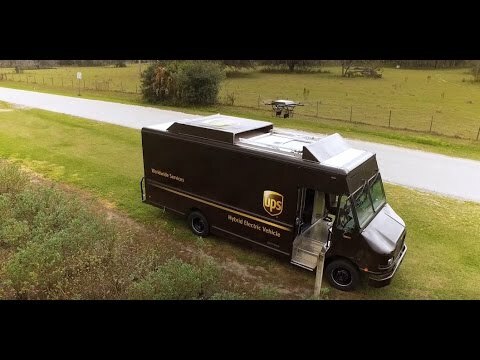 UPS believe that sending drones to make deliveries from package cars could bolster efficiency in their network by reducing miles driven across their delivery route and whilst the test was for residential delivery, a similar approach could potentially be adapted for delivery of parts to field service technicians - particularly if combined with other technology such as the location based services offered by organisations such as Glympse. This is something we hear often in the field service industry. The reality is, you can. A recent Aberdeen Group report found the top reason for a failed service visit is parts unavailability1. This is a critical factor in achieving first-time fix (FTF), which is a top driver of customer satisfaction. Without the right parts at the right time, field service businesses face not only increased costs (truck re-rolls) but also lower NPS/CSAT. Yet many factors affecting parts availability are beyond the control of field operations, making the FTF elusive. Assuming the dispatched technician has the skills and expertise to solve the problem, there are still numerous issues that can arise. The initial diagnosis may have been incorrect, only to be discovered on site; the historical record doesn’t match the actual parts used in previous repairs; or fixing the first problem reveals additional issues, requiring new parts. Some cutting edge technologies like 3D printing (in the field service van) and drone delivery are being explored as possible solutions. They hold promise in the future, but neither is a realistic option today. Nor will they ever fully address complex, heavy or sensitive parts. However, current technologies like location services and the Internet of Moving Things (IoMT), including connected vehicles, provide a readily available solution to enable better spare parts delivery, in pursuit of happier, stickier customer engagements. With three simple steps, you can turn any field service van into a mobile, on-demand parts depot. A technician’s options for sourcing a needed part are limited. He can drive to a nearby warehouse, find a co-worker with a spare, or buy it at a local supply store. All of this is time-consuming and inefficient, which can frustrate the customer and worse, jeopardize SLAs – resulting in penalties. Without a readily available part, the technician may have to wait around (inefficient) or defer to a follow up appointment (bad service experience). SPL providers have the networks and logistics expertise to handle some of this with just-in-time courier delivery, but they still need to connect with the technician. By logging all inventory (assets, parts, consumables) and making it discoverable based on its location or affiliation with a vehicle, you can gain visibility into all parts options. By integrating your parts management system with your fleet management or field service system, you can achieve maximum efficiency. Regardless of where you source the spare part - a warehouse, a co-worker’s van or an SPL courier - coordinating streamlined delivery to the job site is crucial. Leverage a robust location platform to show stakeholders an accurate ETA and location for a spare part handoff. 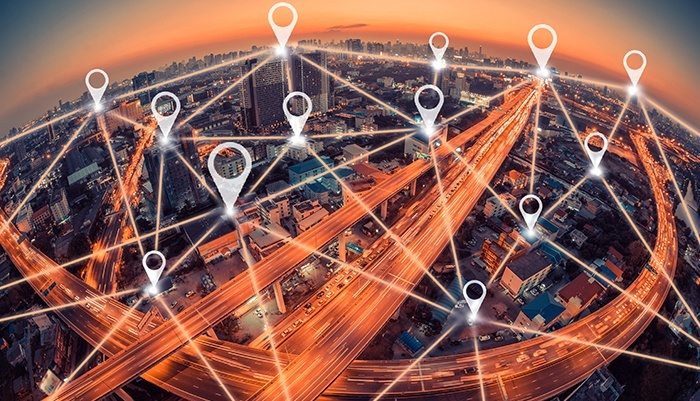 Choose a partner with the flexibility to build sophisticated live map views that enable a real-time holistic vision of people, vehicles and relevant parts in a connected ecosystem. At Glympse, we help customers around the world like Charter (formerly Time Warner Cable), Comcast and others provide the ETA of their field service technicians and deliveries via live map and proactive alerts. We are working with others to provide that same location services platform to inform technicians about exactly when their co-worker or courier will arrive with a spare part and help the delivery person find the technician quickly. Speed and efficiency are critical for a FTF. Technicians can’t afford to stop working to wait for a delivery or go into a warehouse/store to pick something up. Instead, make the trunk of your technicians’ vehicles the warehouse or delivery depot. With location technology and today’s smart-car capabilities, it’s simple. Integrate your connected vehicle with location services to automatically unlock a trunk (using a secure, one-time code and a geofence trigger) once the delivery or pickup person is in proximity of the vehicle. The part is delivered and ready for the technician when he needs it - right in his own van. Alternatively, a technician could leverage his connected vehicle to alert a warehouse manager of his ETA and verify his identity for a fast, curbside pickup with zero waiting. Emerging technologies and location-enabled ecosystems are set to change the way we operate, making field service execution more efficient and effective, driving unmatched customer satisfaction. For now, we’re well on our way to making sure availability of parts is never a barrier to satisfying customers.